. : Optics & Photonics Focus :: 3D tomography of a nanoparticle :. 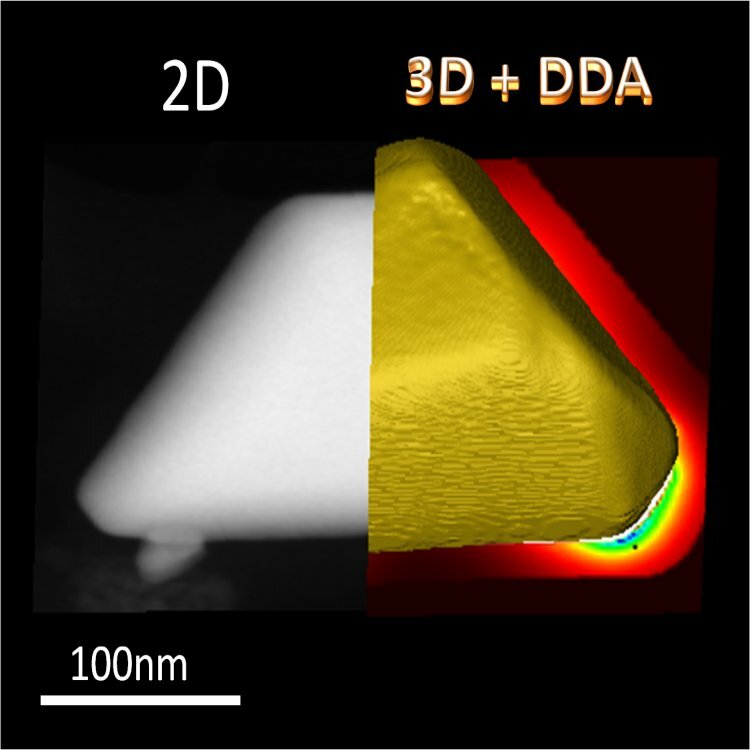 The 3D shape of a nanoparticle can be reconstructed from many 2D SEM images of the same. Once the 3D morphology of the nanoparticle is known, its optical response can be calculated with the algorithm developed by the researchers at the National University of Córdoba.